Where ChinaCNCzone Mini CNC Engraving Machine can be Used? 1. 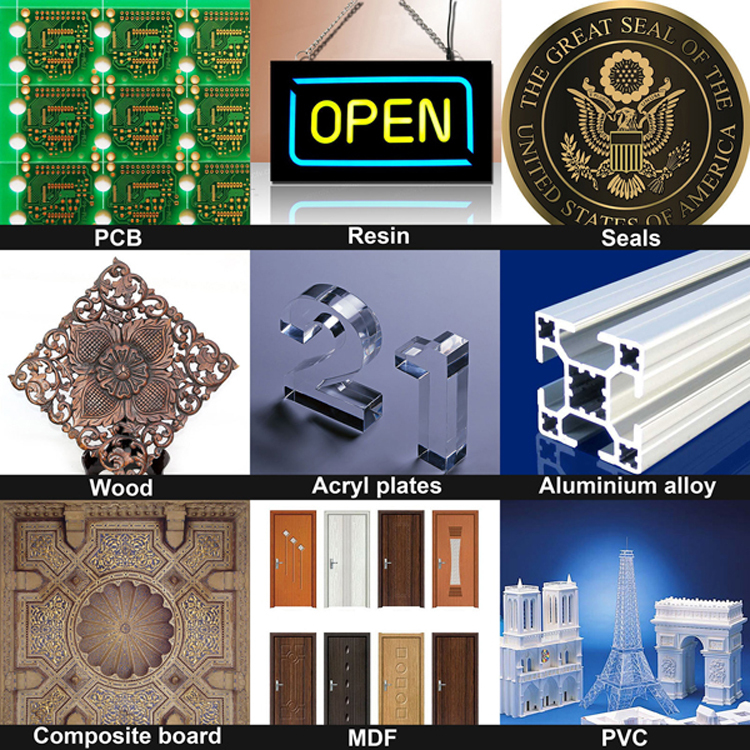 The structure model manufacture industry Engraving/cutting model’s walls, windows, roof, floor and plate. Engraving complex patterns in leather and other tailoring materials. Engraving images and words on surface of bamboo and wood furniture. When cutting organic glass, the edge is smooth, don’t need polishing anymore. CNC engraving machine can engrave vivid photos in bamboo and wood products, acrylic and leather etc. Can finish 360 degree rotary engraving, meet your personality demands. 7. Printing and packaging industry. 8. Electron industry, PCB board manufacturer. Next: What Will Affect a CNC Engraving Machine Precision?